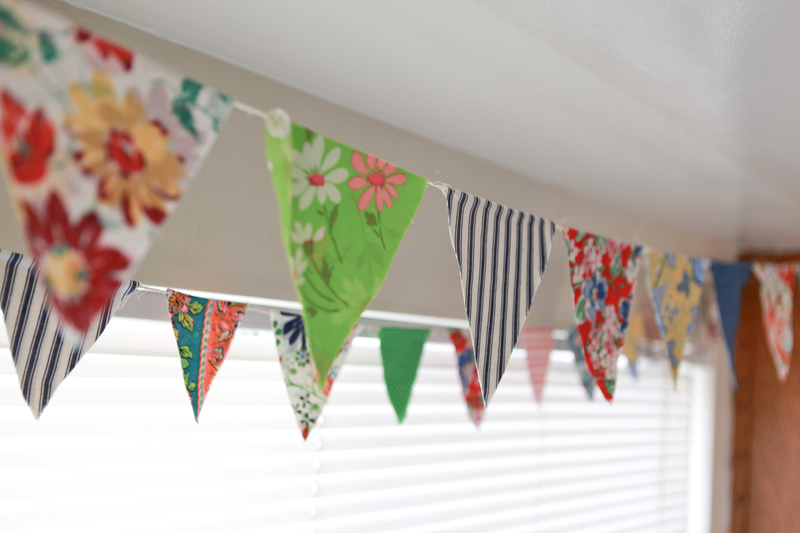 Crafty Tuesday–I Don’t Need No Silly Sewing Machine! So the sewing machine is gone from it’s little corner of the dining room for a couple months now. But that hasn’t stopped me from crafting from fabric. It also has been no secret that moving was hard on all of us; but I’m a believer of making lemonade out of lemons. At least I try… Along those lines, I needed to make something cute and cheery for my circa 1970’s kitchen (I am of the belief that the 70’s was not a good decade in the way of Kitchen design… although I know there are some who love avocado green appliances). 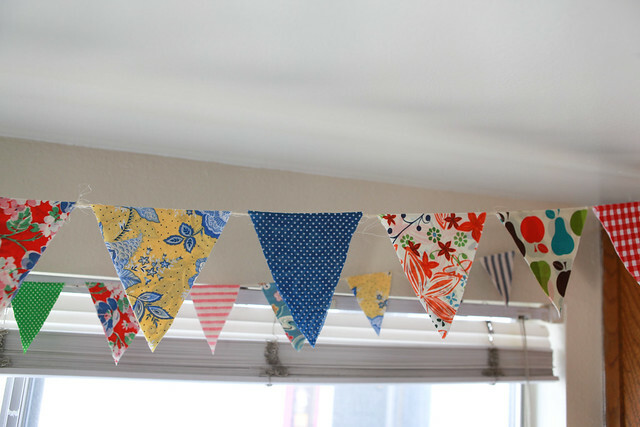 So to give my little 70’s apartment kitchen a little pizazz of it’s own (that doesn’t include the badly needed cabinet redux) I made more bunting flags – because they really make me happy. Since I couldn’t sew them, I folded my fabric in half and cut triangles at the fold and then ironed double-sided fusing to the inside, I folded them over twine and ironed them again to seal them and they were ready to hang. 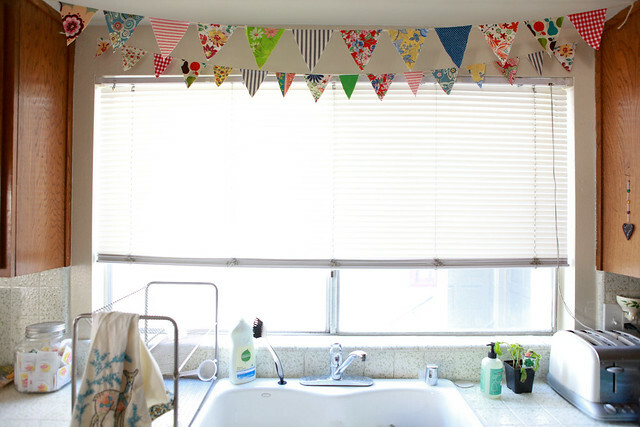 I love walking into the bright light of the kitchen and seeing those little fabric bunting flags hanging over the sink. 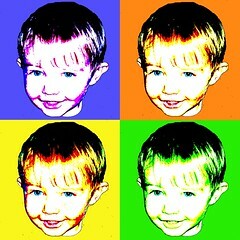 Ok, who wouldn't smile after seeing those. I love it. Very, very crafty. Yara, sewing is more convenient - true. Love them! I have a stack of sweet scraps waiting for a bunting too. I may move it up on the project list after seeing yours! Great work.